Senior at The University of Northern Iowa, number 7 on the enneagram, can quote any Taylor Swift song without hesitation, aspiring world traveler. Likes: The color blue, donuts, any movie that involves Blake Lively, and doing handstands in random places. Dislikes: Cold weather, mushrooms, spiders, and people who don’t dream big. Jazmine is currently a senior at the University of Northern Iowa. She is majoring in social work. 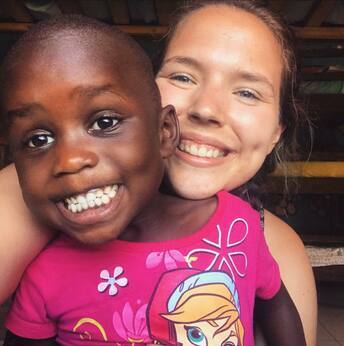 Jazmine has a huge heart for kiddos, and loves mission work, especially in Uganda. She has been involved in BASIC, an on campus ministry as a leader. If you can’t her she is probably watching Grey’s Anatomy somewhere. She has a dog named Melman, and she has two adorable nieces and a nephew that she loves to spend time with.